Arizona Free VIN Check | Free Vehicle History - Simply Enter VIN! Like some states, Arizona allows sellers to sell restored salvage vehicles as long as buyers are informed about the salvage status before the sale is completed. Whether you are interested in salvage cars or not, you may want to know the full history of any car in the state while you are shopping online. Run a free VIN check and search over 2.3 million cars registered in Arizona. VinCheck.info gathers information on thefts, accidents, sales, titles, specifications, and more from official federal and state government sources across the country into a database to provide free vehicle history to the public. Search our database by 17-digit VIN or license plate number. You may request a title and registration motor vehicle record online at the official Arizona Department of Administration Division of Motor Vehicles website. The MVR will display owner information, including the entire title, registration and vehicle record.The fee for obtaining an online MVR is $3.00 for each request. 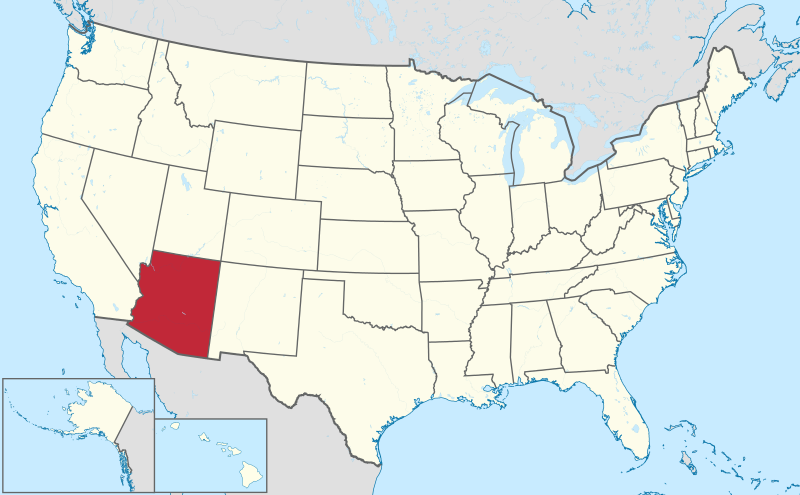 Arizona is a state located in the southwestern region of the United States. The 48th state to join the Union, Arizona is the 14th most populous state with a population of approximately 6,931,071 people. The largest cities in the state are Phoenix (capital), Tucson, Mesa, Chandler, Scottsdale, Glendale, Gilbert, Tempe, Peoria, and Surprise. Divided among 15 counties spanning 113,990 square miles, the state is divided among 15 counties spanning 113,990 square miles and has borders with New Mexico, Utah, Nevada, California. A total of 126,845 accidents were reported in 2016 alone. 38,544 resulted in injuries and 865 resulted in fatalities. Alcohol-related crashes accounted for 3.88% of all crashes and 31.21% of all fatal crashes. Rear end collision is the most common manner of collision. Most accidents occur in the month of March. Speeding too fast for conditions was the most common driver violation. Rate of 265.8 thefts for every 100,000 inhabitants. On average, there were 50.4 motor vehicles stolen per day. Arizona is one of the country’s most at-risk states due to natural disaster. The most frequent calamities include thunderstorms, flash floods, drought and dust storms. Why should I run an Arizona VIN Check? Check for thefts. Search for an active theft or previously recovered theft record by VIN search to make sure you are not buying a stolen car or a car with stolen parts. Run an Arizona free VIN Check to uncover the full-story of your next vehicle.